Things have been a little busier than usual the past few days and now that the Easter holiday is here, I'm out doing family things here and there. Nonetheless, I bring you a mini accessories shoot! I always love when magazines do it so here is my quick version. Easter pastels are fresh in my mind right now so I thought I'd gather some of my favorite Spring pieces. I've been lucky to acquire some fun Chanel accessories over the years and I love collecting them and buying them to mark special occasions.. The cuff was for Christmas one year and my chain resin ring that I wear everyday was bought with my first ever tax return check. Just was doing my part to help feed the economy! Plus, I wanted to put that hard earned money right where I could see it: on my finger. 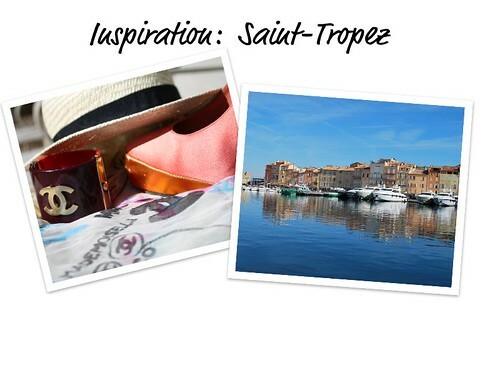 The whole color scheme actually reminds me of Saint-Tropez.... not that I've actually been there.... but I can imagine! 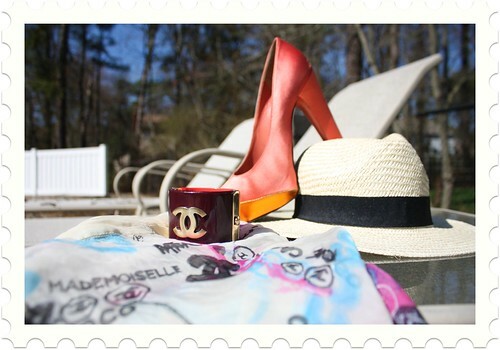 Plus, everyone wears Chanel in Saint-Tropez, right? It would be a French faux-pas not to, mais non? 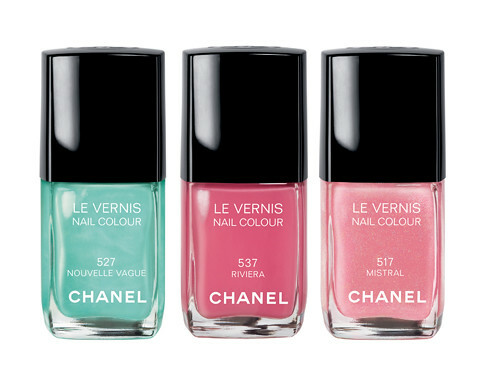 Now the icing on the Marie-Antoinette cake palette would be these Summer Chanel polishes! It's just nothin but love for Chanel today! Have a lovely weekend, glossie posse!